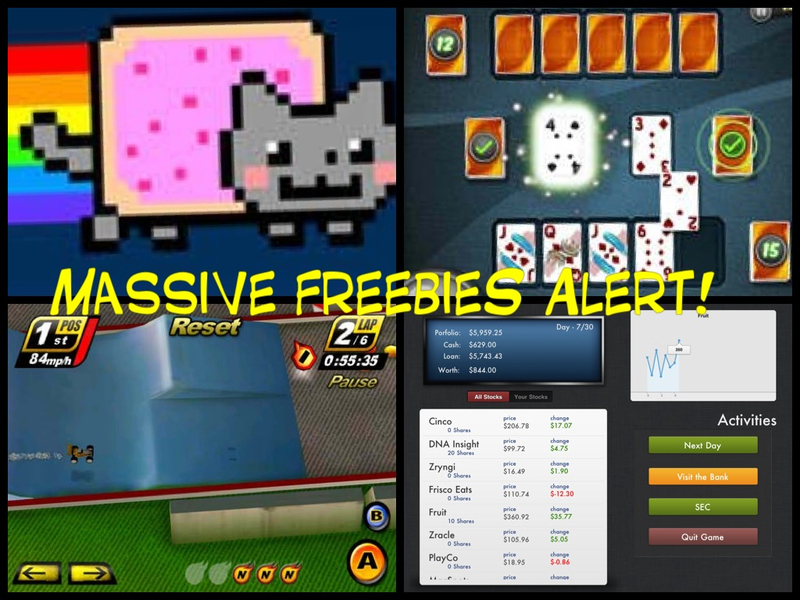 This weekend selection consists of great games gone free. 1) Nyan Cat: Lost in Space (Universal) – beloved retro platformer takes you higher on a quest for food, drinks and awesome power-ups. 2) Aces Speed HD (iPad)- card game addicts, you will enjoy playing this game solo vs the computer,or head to head with family and friends – the best way to play Speed! 3) Touch Racing (Universal) – biggest price drop yet, from $6.99 to free. You can never have too many good racing games. 4) Insider Trading (Universal) – this game is of personal interest to me because of my job in our country’s SEC, but it’s still good to know that there’s a highly rated and acclaimed stock trading sim game out there. The developer dedicates this app to Steve Jobs and requests that people leave iTunes user feedback about their favorite memories of Steve Jobs.